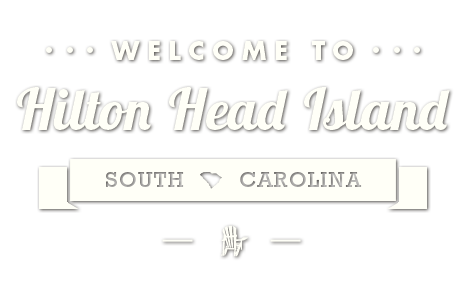 What’s one thing people hope for on a trip to Hilton Head? Sunshine, of course, because when you head home after a spending time on our beaches, you want to show off a great tan. But that’s not the only thing you can show off when you get home. With a little help from Maui Whitening, you can head home with a bright smile too. 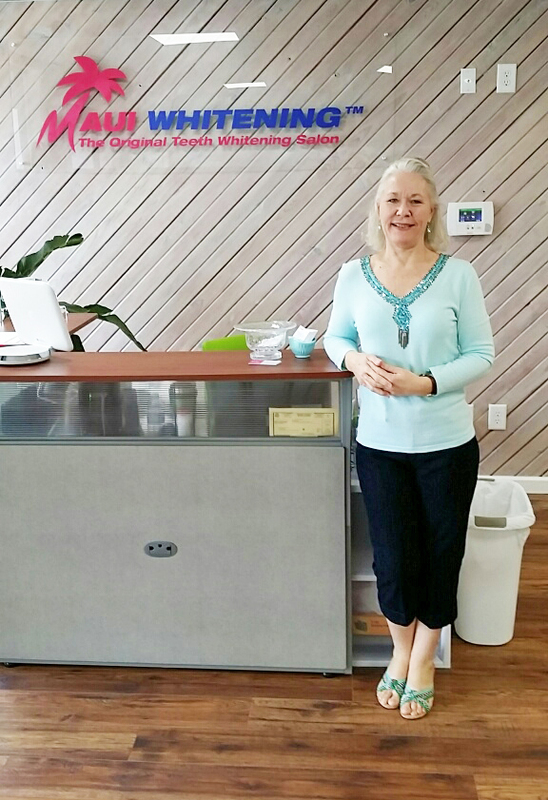 Beth Clough at Hilton Head Island’s Maui Whitening. In October 2015, Beth Clough brought the Maui Whitening dealership, based out of Dayton, Ohio, to Hilton Head Island after moving from the Atlanta area, to offer locals and visitors alike from all over the Lowcountry, including Savannah, Tybee, Beaufort and any of our surrounding areas, a new way to get a brighter, whiter smile. Because who, she asked, wouldn’t enjoy, appreciate and feel better with a whiter smile? “It’s easy and offers very fast results. The teeth whitening is very effective, affordable, compared to whitening services that dentists provide, and we have no sensitivity problems,” she revealed. 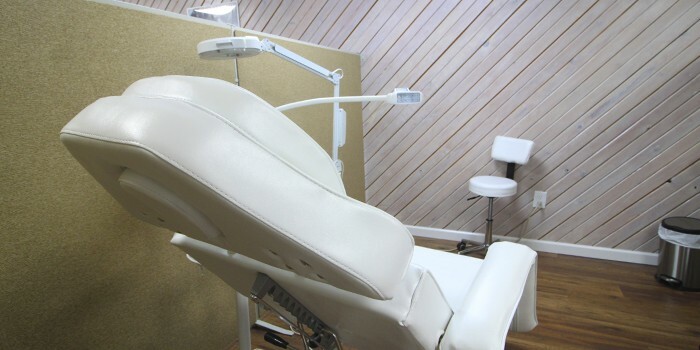 The new teeth-whitening salon in Orleans Plaza, right next to the Enliten Hair Salon and Casey’s Sports Bar & Grille at 37B New Orleans Rd., uses LED technology and professional grade whitening gel. With the option of three different sessions—a 20-minute session for $99, a 40-minute session for $149 and a 60-minute session for $179—Maui Whitening can get guests teeth as much as 10 shades brighter. 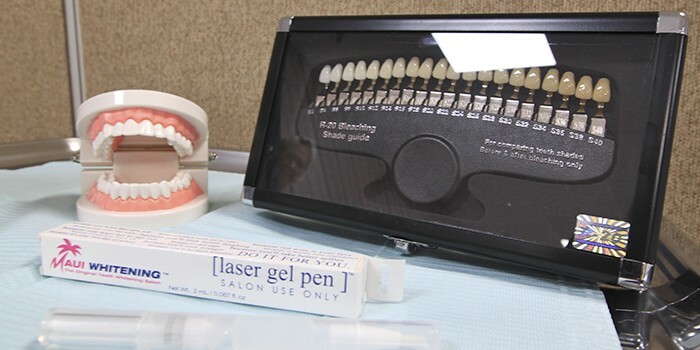 At the salon, they offer non-dental and self-administered teeth whitening, meaning customers get to apply the whitening gel to their own teeth, after they are shown how to use the product. 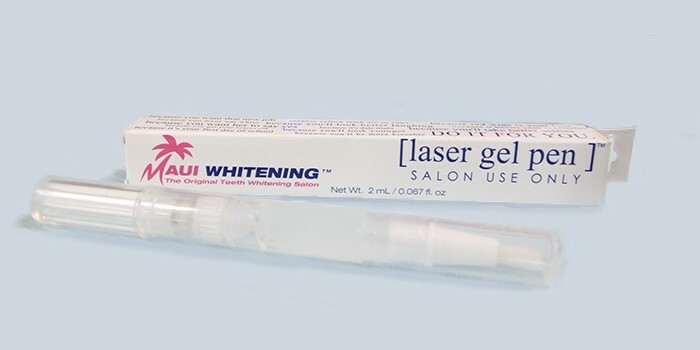 Maui Whitening also has "re-white" gel available for purchase. 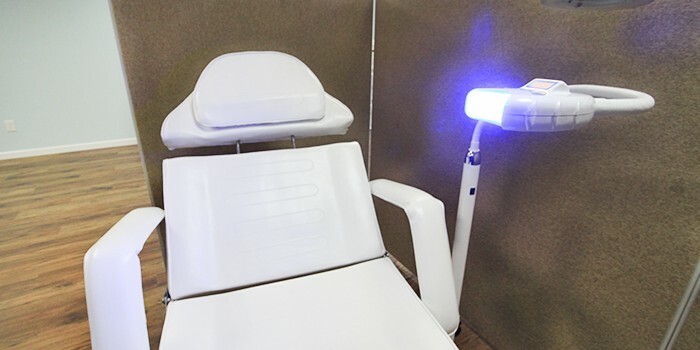 After the gel is applied, Clough will position an “LED Whitening Accelerator Light,” which has a 20-minute timer on it, in front of the customer’s mouth. When the 20 minutes is up, the light turns off, the customer will rinse their mouth out and Clough will get her Shade Guide to evaluate the progress with the client and see how many shades whiter their teeth are. The customer can decide whether or not they want to continue with an additional 20 minutes or if they are happy with the results. “You can expect to get anywhere from three to 10 shades whiter, depending on the session that you select when you’re in our salon,” Clough clarified. 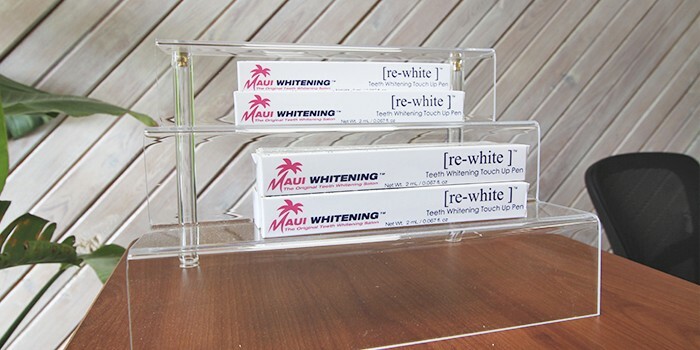 Unlike a dentist office, this shop allows guests to walk in and out in as little as half an hour, many times with no wait, and doesn’t have their outlandish costs, according to Clough, who revealed that the sensitivity issues which often come with dentists’ whitening trays are non-existent at Maui Whitening. Even with store-bought whitening strips, several times customers have to wait days to see results, but this option speeds up that process and provides similar results in much less time. This may be one reason why why Maui Whitening is not only attractive to brides about to get photos taken that they will cherish for the rest of their lives, but also to seniors in high school about to get senior portraits taken or about to attend prom, as well as teenagers and adults who have just gotten braces off which may have stained their teeth. 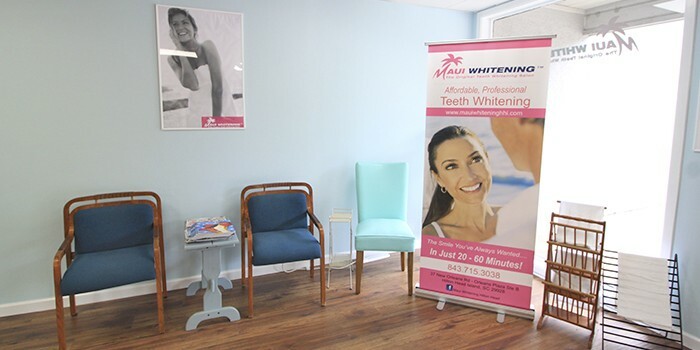 Family photos, fitness events, beauty pageants, vow renewal ceremonies or weddings and many other special events provide the perfect excuse go over to Maui Whitening. “But, really, it’s for anyone who would like a little self-confidence boost, because everyone feels better with a whiter smile,” Clough said with a smile. 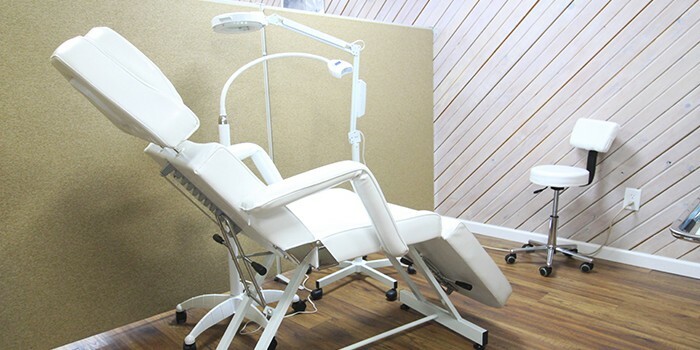 Maui Whitening is located in Orleans Plaza at 37B New Orleans Rd on Hilton Head Island. They are open Tuesday-Friday from 10 a.m.-5 p.m. and Saturday from 10 a.m.-2 p.m. (and closed Sunday and Monday). Walk-ins are welcome and appointments are also accepted. 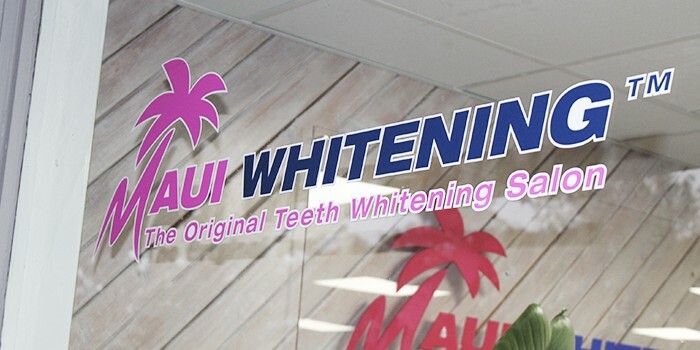 For more information, call Maui Whitening at (843) 715-3038 or go to mauiwhiteninghhi.com.